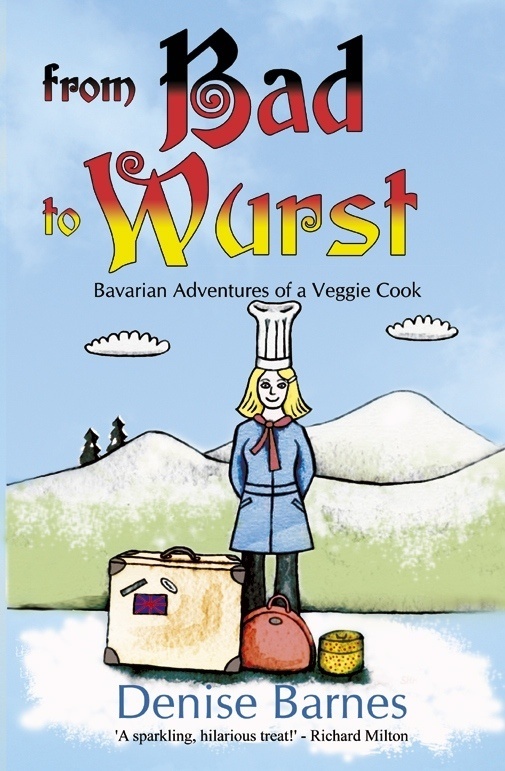 Set in the picturesque region of Bavaria, and spanning thirty-odd years from the seventies to the noughties, “From Bad to Wurst” tells the story of Denise’s experiences as a vegetarian cook in a health clinic. Dreaming of a new life abroad, she chooses her maternal grandfather’s country to throw caution to the winds and exchange her secure but tedious job for the unknown quantity that is the Tannerhof Sanatorium in the village of Bayrischzell. This, without knowing a word of German, much less of cooking! What follows is an often hilarious, sometimes poignant, but always heart-warming tale that blends travelogue and social commentary with the ups and downs of a Gastarbeiter, intermingled with unexpected friendships and romance.